Kuroda’s speech, Rate decision in Australia, Canada the EU, Employment data in the US and Canada as well as US Crude Oil Inventories. These are the highlights of this week. Haruhiko Kuroda speaks: Monday, 4:30. Bank of Japan Governor Haruhiko Kuroda will speak in Tokyo. Volatility is expected. Australian rate decision: Tuesday, 4:30. Economists anticipate more easing measures in the coming months with a 68% chance for another cut is December. US ISM Non-Manufacturing PMI: Tuesday, 16:00. The ISM Non-Manufacturing index is expected to reach 55.4 this time. Canadian rate decision: Wednesday, 14:00. Economists do not expect a change in monetary policy anytime soon. EU rate decision: Thursday, 11:45. Analysts expect the ECB will act in the fall or winter to extend its bond-buying stimulus program past its expiry date of March 2017. US Unemployment rate: Thursday, 12:30. US Crude Oil Inventories: Thursday, 15:00. This unexpected trend cast shadow over the oil industry in the coming months. Canadian Employment data: Friday, 12:30. Last edited by 1Finance; 09-03-2016 at 08:39 AM. Daily price is located in the bullish area of the chart to be near and above Senkou Span line of Ichimoku indicator on the border between the primary bearish and the primary bullish trend. The price is testing 1.1122 support level to below for the bearish reversal to be started. Chinkou Span line of Ichimoku indicator is located near and above the price indicating the possible breakdown to be started in the near future. Absolute Strength indicator is estimating the bearish reversal. 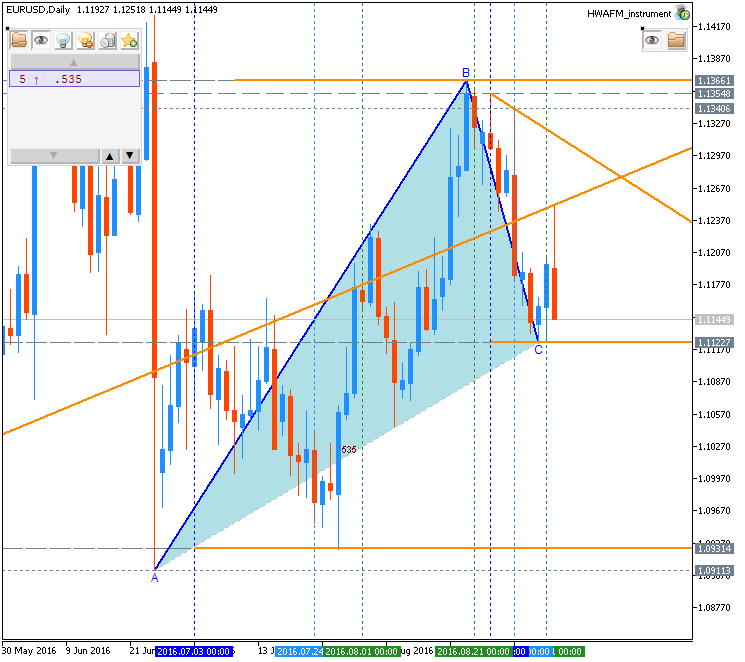 Symmetric triangle pattern was formed by the price, and if the price breaks this pattern to above together with 1.1365 resistance level so the primary bullish trend will be resumed. If D1 price breaks 1.1122 support level on close bar so the reversal of the daily price movement to the primary bearish market condition will be started with 1.0951 lever as a nearest daily target. 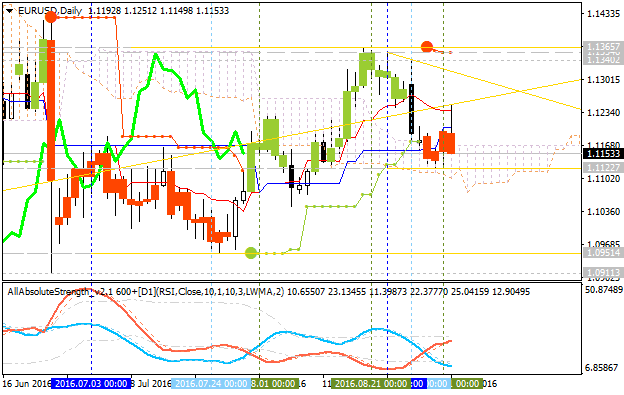 If D1 price breaks 1.1365 resistance level on close bar from below to above so the bullish trend will be resumed. 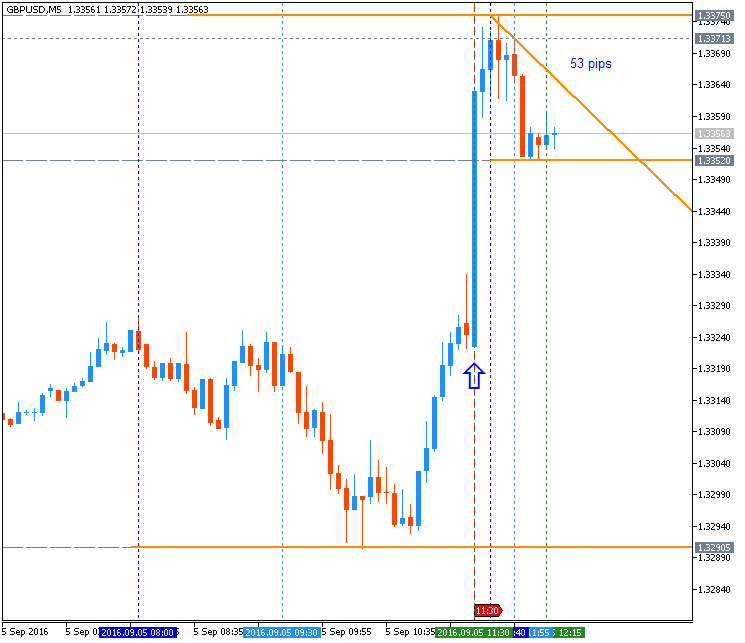 If not so the price will be on bullish ranging within 1.1365/1.1122 levels.